The Nutcracker and the Four Realms is a visually spectacular live-action film, perfect for Christmas and an experience for the entire family! The cast includes Morgan Freeman, Keira Knightley, Mackenzie Foy, Helen Mirren, Matthew Macfadyen, Misty Copeland and more. Legendary film composer James Newton Howard is in charge of the original score (an interpretation of Tchaikovsky's classic 1892 ballet) with Los Angeles Philharmonic musical director Gustavo Dudamel conducting. 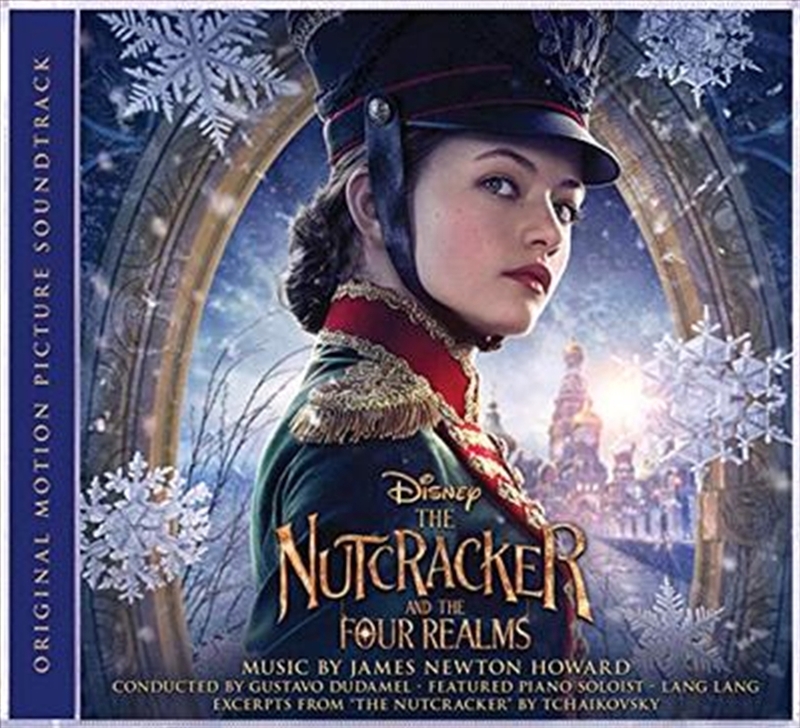 The soundtrack, consisting of 17 tracks, features world-renowned, Chinese concert pianist and Universal recording artist, Lang Lang (first end-title credit for the film, in addition to being prominently featured throughout the film). Italian singer/song-writer and music legend Andrea Bocelli and his son Matteo are also featured as the second end-title credit on the hauntingly beautiful duo, "Fall On Me".